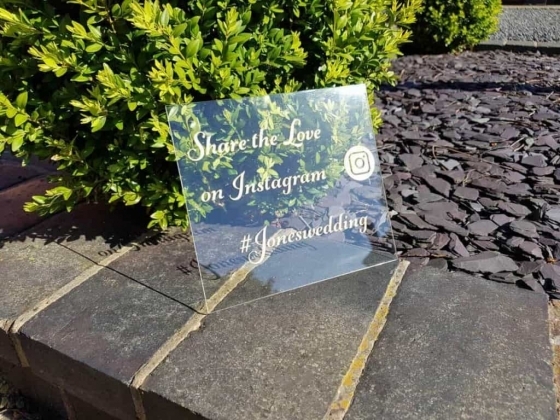 When it comes to decoration at your wedding, it's the little details that make all the difference. 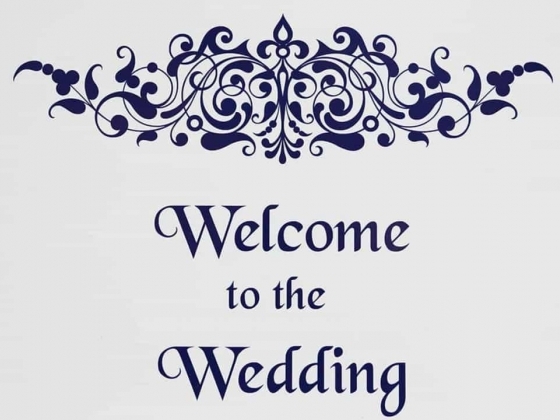 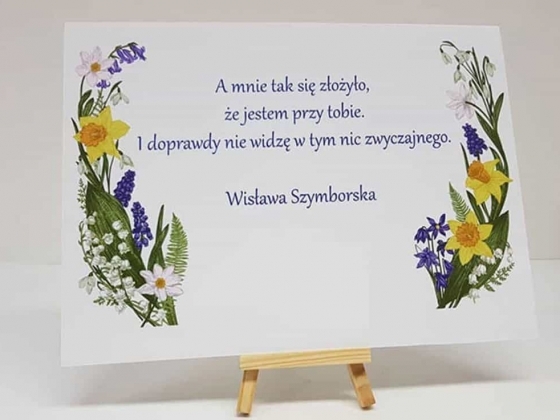 Your welcome sign will be the first wedding decoration that your guests will see and it's your opportunity to show off your theme, offering your guests a taste of what is to come during your big day. 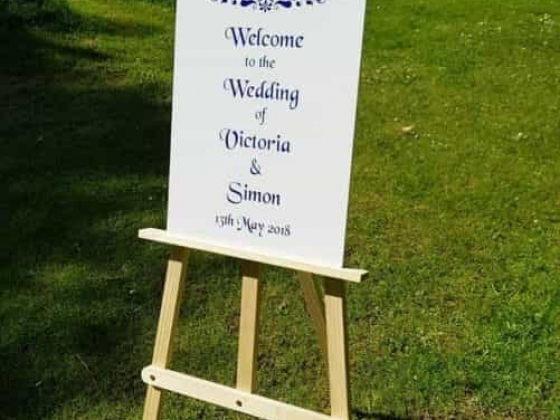 Welcome your guests in style and guide them around your wedding venue with signs from our existing collections. 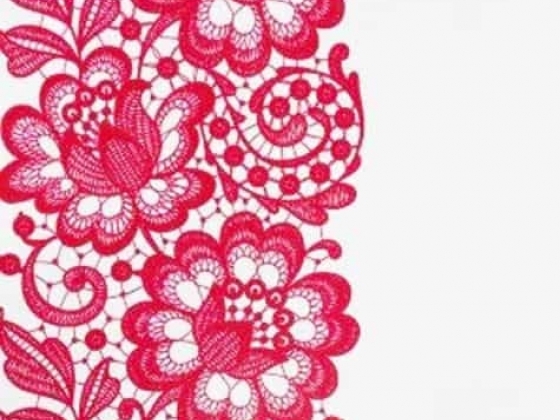 Choose from elegant, vintage, classical, botanical and even quirky designs all with a contemporary twist. 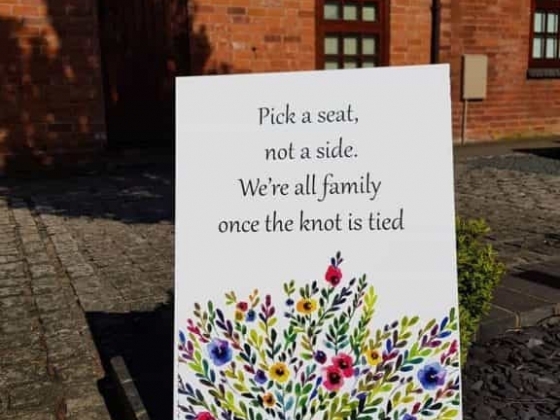 Show your guests to their seats for your wedding breakfast with one of our beautiful seating plans. 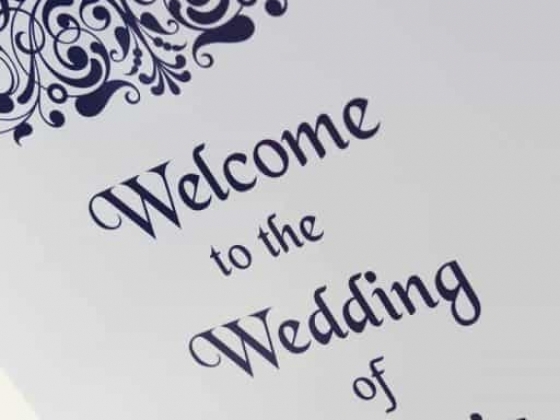 As your most eye-catching piece of wedding day stationery, it's a beautiful but functional way to decorate your venue. 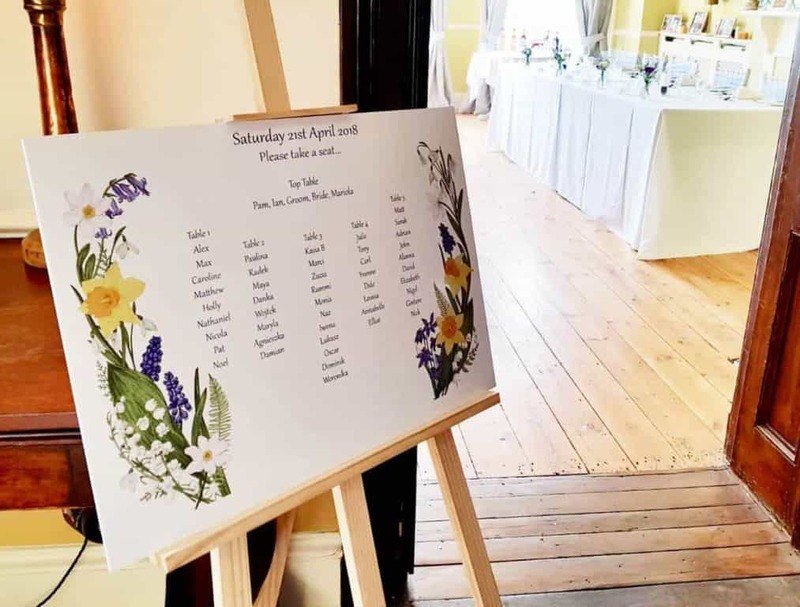 The seating plans come in all shapes and sizes and can be printed with the names of all your guests, so you can be sure everyone will know where they are sitting on your special day. 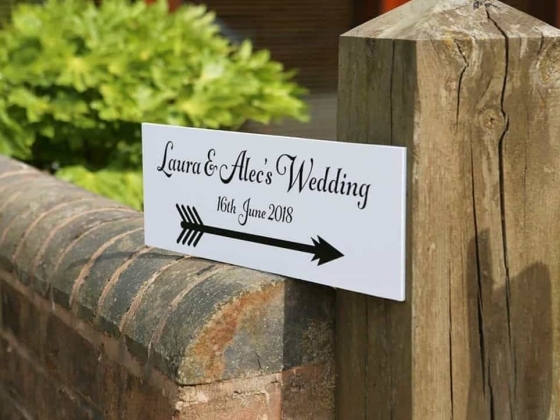 Whether you're planning an elegant, formal affair or a relaxed country wedding, our stunning collections include all manner of signs to welcome your guests and help them find their way. 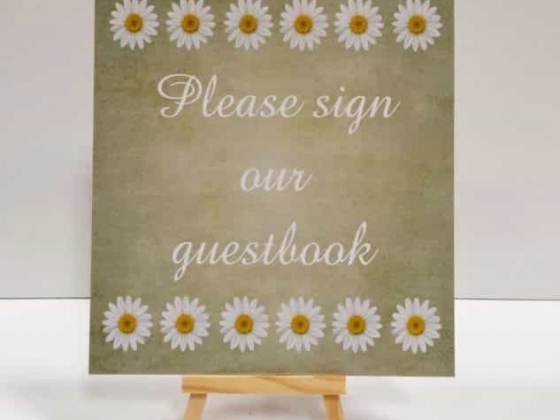 With designs that can be personalised, there is one to suit your style and complement every theme and colour scheme. 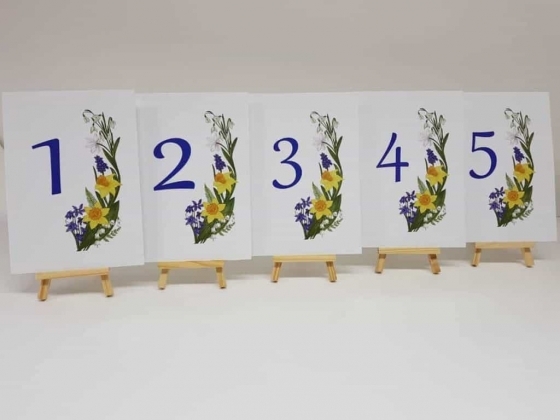 Each design makes a real statement piece. 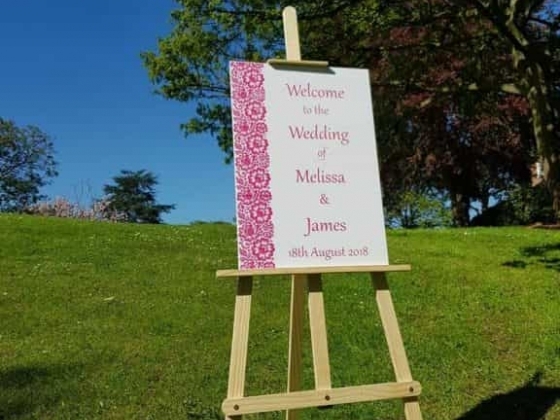 We also offer a bespoke design service that is perfect if you want something that is totally personal and unique to your wedding. 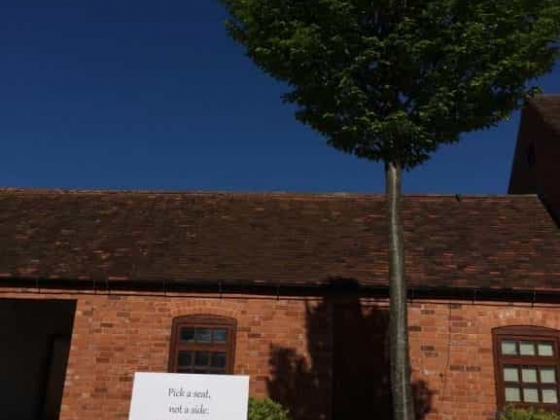 If you have something particular in mind, whether it's a complete vision or simply an idea, drop us a line and let us create a design just for you.